A borderline city which express all the influences of the different cultures that over the years built its architecture and its deeper soul. 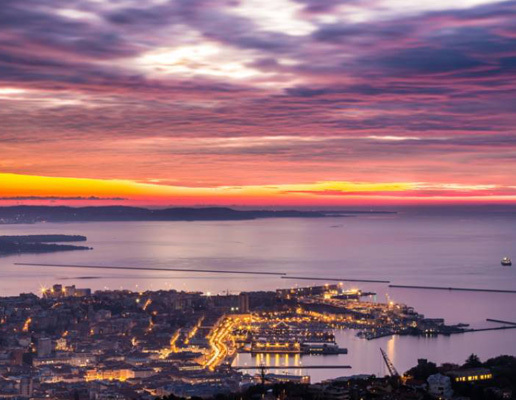 A big harbour like the most important european cities as Barcelona or Marseille have. A city which keeps on moving foreward in customs without forgetting its history and customs. Trieste is not only the major city of Friuli Venezia Giulia, but also a pearl full of beauties to be found into its narrow and steep streets. 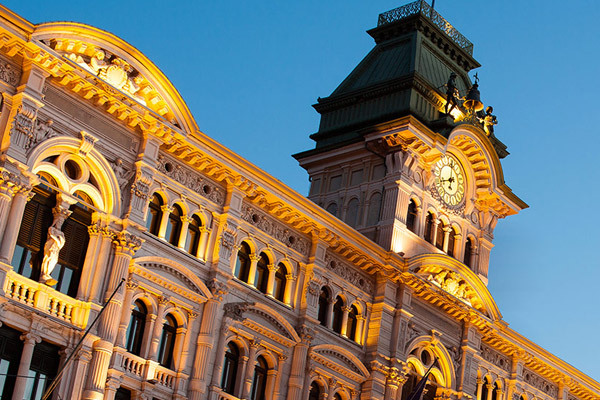 Overlooking the sea you may find Piazza Unità Square, one of the most beautiful squares in the whole italian territory and real center of interest an life of the city. 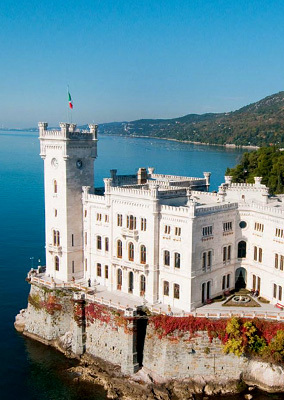 All of the "shores" as Barcola where all the locals use to spend their free time in summer, the magnificent Castello of Miramare, Sistiana and Muggia two sites of unbelievable beauty are some of the many reason why Trieste should be deeply known and visited. Art, culture, food. Trieste is this and more than this!